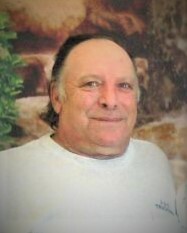 James Vincent Accidentale Jr., 68, of Willowbrook. Beloved husband of Esther and son of James Sr. and Jennnie (Valco) Accidentale. Loving and giving father of Jimmy, Candace, Georgia, Little Smitty, Michael (Lauren) and Jamie Smith. Dear brother of Bart (Judy), Frances (Chickie) (Al), Joanna (Jerry), and Michael (Cindy). Loved dearly 10 Niece's / Nephews. Devoted Grandfather of 12 with a grandson on the way. James served 4 years in the Navy with Honorable Discharge in 1975. A busy body truck driver who loved his children and family the most. Always good for a laugh so caring and giving with many friends who he loved. At James request, no services are planned.